Arrogant individuals may not reveal these types of tendencies until after they get married. During the divorce process, an arrogant individual may attempt to intimidate or muscle their will in the process, forcing you to rely on the professionalism of your family law attorney. Co-parenting with an arrogant individual can present many challenges. When you first begin dating someone, you hopefully get to see the various sides to their personality and decide for yourself whether you enjoy all of those various sides enough to be with that person for a longer commitment. However, there are times when you only get to see the sides that your significant other wants you to see, and so when you make that type of long term commitment and marry, you may be doing so under false pretenses. They may begin to reveal the aspects of their personality that they had previously hidden, once you get married. One personality trait that causes a lot of problems in marriages and can turn them into divorces is arrogance. Some who enter marriages may not know how much of an ego their new spouse actually has. They could have concealed it from them, or you may be the type of person who makes excuses about arrogant behaviors, blinding you from what they actually are. They may be very successful in their accomplishments, and that may be part of the reason why you may have been blinded by their true nature. Arrogant individuals have the ability to succeed, not only in their careers but life in general. According to Psychology Today, this is due to their various abilities to express themselves in situations. They are able to express anger and intimidate others, leading to their own success. Arrogant individuals can be difficult to interact with, causing conflict avoidance with those who interact with them on a daily basis. They can exhibit their dominance in social situations, which can lead them to obtaining some levels of power. Arrogant individuals can believe themselves to be superior and share traits with narcissists, in their mutual desire to win. This can put them on the attack. This can make a divorce particularly difficult. In order to combat an arrogant individual, you will need to partner with a family law attorney, who understands what you are going through a can put your needs first. They have the ability to represent your best interests, and especially in the cases of men and fathers, that can be challenging when facing a soon-to-be ex-spouse who demonstrates arrogant behavior. Dealing with an arrogant soon-to-be ex-spouse during the divorce process can be a lot to handle. They may believe that they can do no wrong and can demonstrate a sense of entitlement. They may think that they deserve primary child custody, alimony, and child support, regardless of their schedule or ability to care for the child and regardless of their financial situation. They may attempt to play off your emotions or try to bully or intimidate you during the process. It is important to keep calm and composed in moments when all you want to do is lash out. You cannot allow them to goad you into saying something or doing something that could be used against you in your divorce or child custody case. As often as they may attempt to muscle their will into the proceedings, you have to be the bigger person and rely on your family law attorney. Their ability to represent your best interests may be critical in avoiding the maximum amount of damage that can be done in your case and to your future. 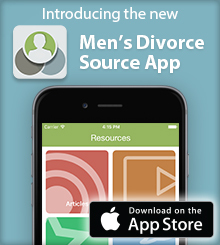 Cordell & Cordell understands the concerns men face during divorce. After the divorce decree is finalized, you still may have to deal with the arrogance of your ex-spouse, if you share children with them. Their personality traits may lead them to commit acts of parental alienation, turning your children against you. This type of trauma is harmful to your children and can require professional assistance, in order to combat. It also can damage your self-worth and how you feel about yourself as an active parent, requiring you to seek help, in order to mentally and emotionally recover. An arrogant ex-spouse may not realize the damage they are doing to their children by targeting you, as a parent. They may only see how it benefits their ego or how it could potentially benefit their child custody case. Whatever the case may be, it is important to continue to play an active role in your child’s life. You cannot allow the arrogance of your co-parent to dictate how you raise your children. You need to continue to try to be a constant presence in their life. When it comes to dealing with your ex-spouse, if you do not have shared children with them, you do not have to worry about it. You can continue your life and your future without worrying about how their behavior will affect you. If you do have shared children and have to co-parent with your ex-spouse, understand that their interests are in themselves and how parenting and your shared children interact with them. As many redeeming qualities as they may have, their arrogant tendencies may prohibit the level of selflessness that you may typically expect from a co-parent. After adjusting expectations, you still should try to do your best to maintain a civil discourse with your co-parent. You certainly should not look to be best friends with them, but you do not want any negativity to affect your shared children and how they see their parents. That delicate balance may be challenging, but it is necessary to try. The emotional damage that your ex-spouse once had the capability of doing to you through their arrogant behavior no longer can hurt you, but in order to protect your shared children, it is best to attempt a polite discourse, in order to shield them from future damage. Your children do not want you to be unhappy.